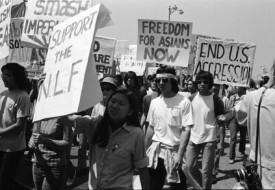 According to the national civil rights organization, Asian Americans Advancing Justice, students in the U.S. continue to attend schools organized by race. 69.9% of Asian American students, 85.2% of Black students, and 88.1% of Latino students attend schools that are majority non-white. Meanwhile, 29.7%, or less than a third, of white students attend majority non-white schools. This statistic matters, and not just because of what it tells us about the persistence of racial segregation 60 years after Brown v. Board of Education. School segregation matters because $733 more will be spent per student at schools that are 90% or more white than in schools that are 90% or more non-white, and there are shades of grey between those extremes that remain consistent with the idea that more money is spent on white students than on students of color. And schools are more segregated today than they were 40 years ago when Congress passed the 1964 Civil Rights Act, so it’s not as if the situation is improving. Asian Americans, who are widely perceived to be educationally advantaged, aren’t exempt from the racial divide in education. When you break the Asian American and Pacific Islander community into individual ethnic groups (which much more accurately reflects how our lives are organized) you find that the percentage of adults without high school diplomas among the Hmong, Chinese, Laotians, Samoans, Vietnamese, Tongans, and Cambodians in the U.S. all exceed the national average of 19.6%, with the Hmong and Cambodians on the extreme end of disadvantage with 59.6% and 53.3% of adults lacking a diploma. And the Advancing Justice report says nothing of the educational disadvantage facing American Indian/Alaska Native students, probably because these statistics are pretty hard to come by, indicating a lack of public interest and attention that is consistent with the general trend in the U.S. of marginalizing Indian issues as if they aren’t American concerns. However, according to a 2008 report, in 2007, only 13% of American Indians and Alaska Natives 25 or older held a bachelor’s degree or higher, and the high school non-completion rate among this group was higher than for Asians as a whole and for Blacks. But there’s more to this story. 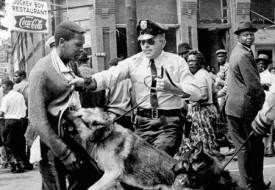 Racial segregation in education also means that the overwhelming majority of white students are not being prepared for the America of the future (wherein census predictions indicate whites will soon be a racial minority) because they are still immersed in the contemporary legacy of our history of legal racial segregation. As that more racially diverse future is beginning now, white students may occasionally find themselves a minority on the bus or at the mall, but they are much less likely to find themselves in schools where they are the racial minority. And this matters to all of us. Why? To those of us who are not white, whiteness is an obvious feature of life in America. We may not always call whiteness by its name, but we know it by its impact. Whiteness is the normative standard. Upward social mobility in the U.S. for people of color means having to vertically integrate into the white middle class, often by leaving behind our languages and cultures of origin, not to mention the neighborhoods we grew up in. Even hip hop artists only truly become entertainment moguls if they are able to successfully market their product to whites. People of color live in a world in which holidays like Thanksgiving and St. Patrick’s Day are “American” traditions, while Dia de los Muertos and Lunar New Year are immigrant traditions, despite the fact that those who originated these holidays are all descended of, or are themselves, immigrants. The only real difference is whether or not those immigrants have been included in whiteness. We live by a white standard that makes me, at 5’7″, short, while the global average height for adult males is about 5’5″. Taller people, mind you, do better financially in the U.S., on average, than those of us who are considered short. Whiteness is a politically, socially, and culturally loaded construct (as in a purposefully built thing as materially meaningful as the walls that separate mostly white schools from mostly non-white ones). Schools don’t just prepare us for work; school prepares us for citizenship. The composition of our American citizenry will soon be mostly non-white, but white students aren’t, for the most part, being prepared for that future, making what’s happening on the whiter side of the color line in our schools something racial justice advocates should be concerned about. First of all, issues of racism in the United States will never disappear. Even if marginalized groups, such as Asian American, gain the equal representation they strive for, there could exist greater inequality among other ethnic groups. As a direct result, this may even lead to the creation of Yellow Supremacy. With that said, I don’t think white culture will ever disappear in the U.S. because of its global impact. In addition, whites were the ones who built the U.S. as a powerful nation. I know that people can argue that other racial groups came in and “helped” (usually through manual labor i.e. Chinese building railroad tracks). However, the system of the United States that made it into an powerful nation was created by EUROPEAN immigrants. That’s why people of color are often marginalized and, in a sense, have a colonized mind-set within their country of origin in the U.S. Is this fair? No. What can we do about this? Well, fighting for higher representation of a single ethnic group is NOT the solution. Instead, we should unite together collectively and have a single culture so we can establish closure ties with one another. That’s how we as a HUMAN RACE evolve and work more efficiently together. Humans are humans after all. Understanding ourselves is the key to understanding how we will evolve in the next hundred years. I just hope people figure this out before history repeats itself all over again.